Destiny's D-pad-mapped gestures are fun for expressing yourself to strangers in the Tower, or after a successful strike. But they're a lot more useful when used in even more creative ways. Take Unspoken Ouch's tactic here, for instance. As you can see above, he uses the sitting gesture in a most devious way to confuse the hell out of players. And it works. 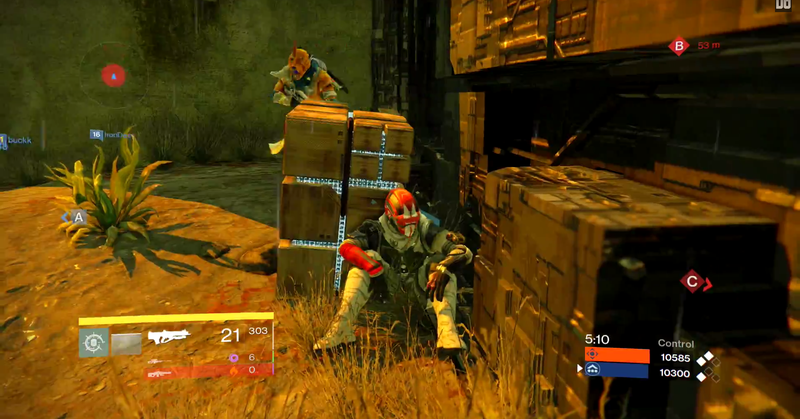 Who actually expects someone to be sitting calmly in the middle of one of the PvP maps? Not these players, that's for sure.